Where can I get a map of the County of Los Angeles Regional Trail System? On this website under Documents, you can find a downloadable and printable map of the County of Los Angeles’s Regional Trail System. To download maps of specific trails, use the Trails Locator on the homepage to find a trail you like and click the "Quick Guide & Map" button on the individual trail page. What time do the trails open/close? Trail hours are sunrise to sunset. Can I bring my dog on the trails? Please check the allowed uses on the individual trail pages to see if dogs on leash are allowed before your outing. Where do I find out more information about your organized trail events? The Department has several events. Click here to visit the trails Calendar of Events. If you reside in an incorporated city, it is likely that your city operates its own parks and recreation department. You may wish to check your city parks department as well. Who do I contact with questions regarding this website or trail planning matters? We would like to hear from you. You may complete the feedback form or e-mail us directly at trails@parks.lacounty.gov. Please note our business hours are Monday through Thursday from 7:00am-5:30pm. Where can I find a copy of the County of Los Angeles Trails Manual? 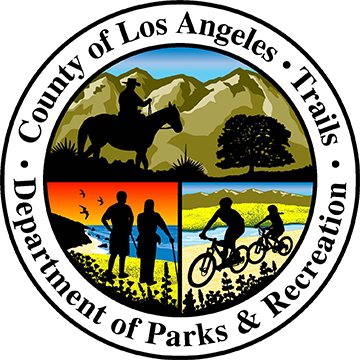 On this website under Documents, you can find a downloadable and printable copy of the County of Los Angeles Trails Manual.